Triple B Feeder with mixerNowadays there are more alive born piglets in the pig farming. When the lactation period is progressing, the sow can`t provide the great number off piglets with enough energy they need. 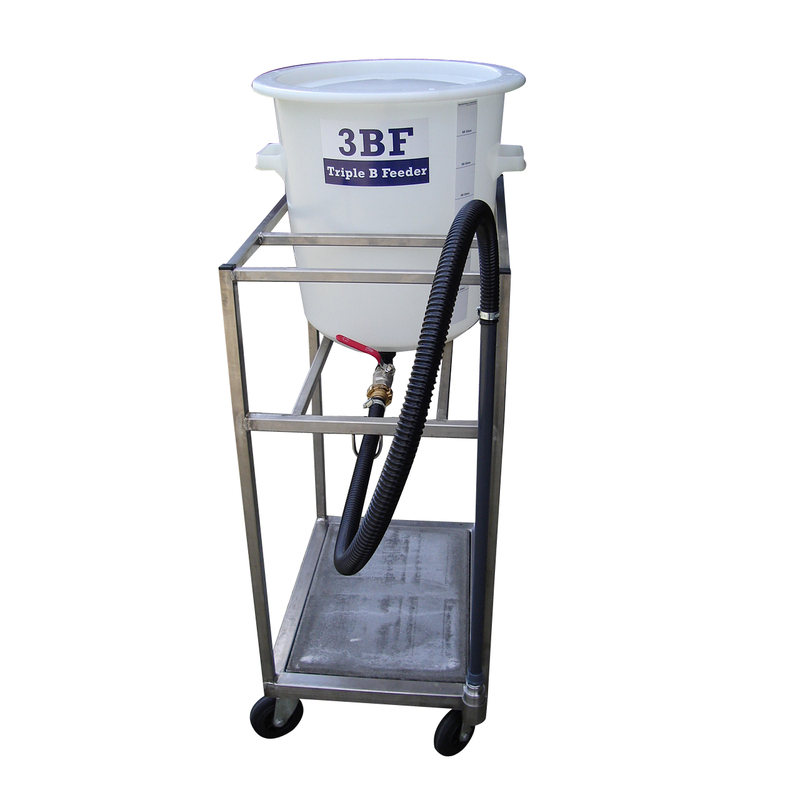 To provide the piglets with the required energy, the only solution is additional liquid feeding.For this application we developed the “Triple B Feeder”. 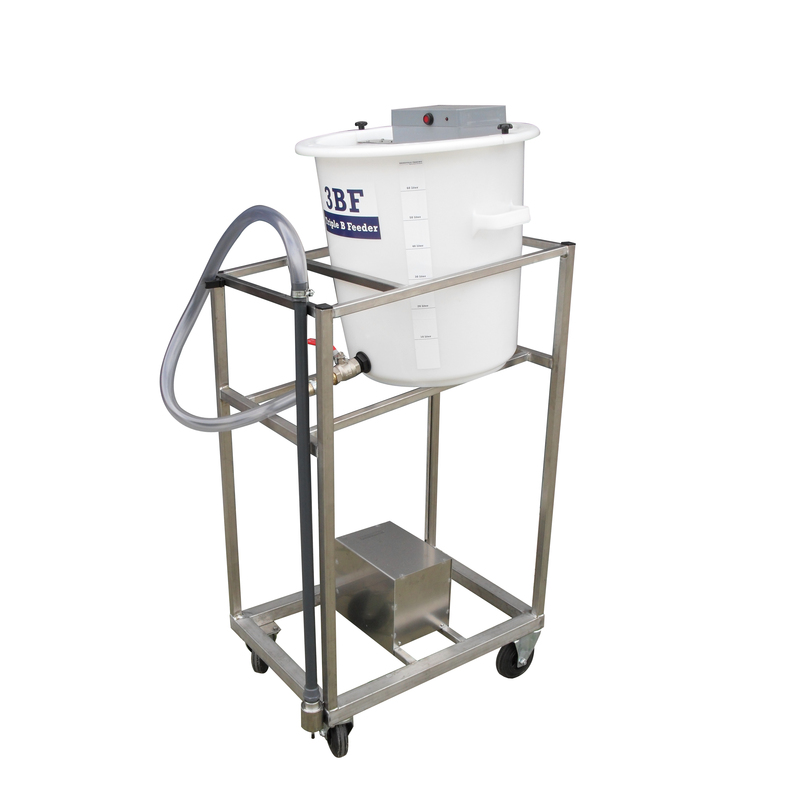 The barrel that is placed upwards, prevents messing because mixing and dosing happens in one device. Easily dosing without messing because off smart valve. Triple B Feeder without mixerNowadays there are more alive born piglets in the pig farming.